Yo began yoga in 2003 while she was studying art in India. Her passion for teaching led her to study with Darren Rhodes. 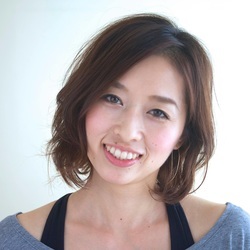 She is honored to be the first Japanese certified yogahour® teacher and enjoys sharing the joy and power of yogahour at her studio Hibiyoga and throughout Fukuoka.